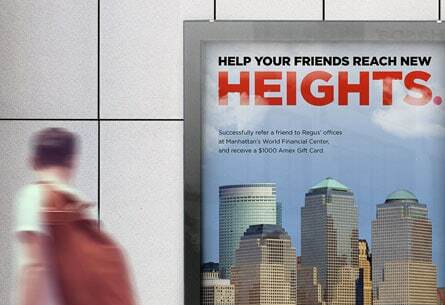 World Financial CenterRegus, a global office space leasing company, is responsible for renting square footage in the Manhattan-based World Financial Center. 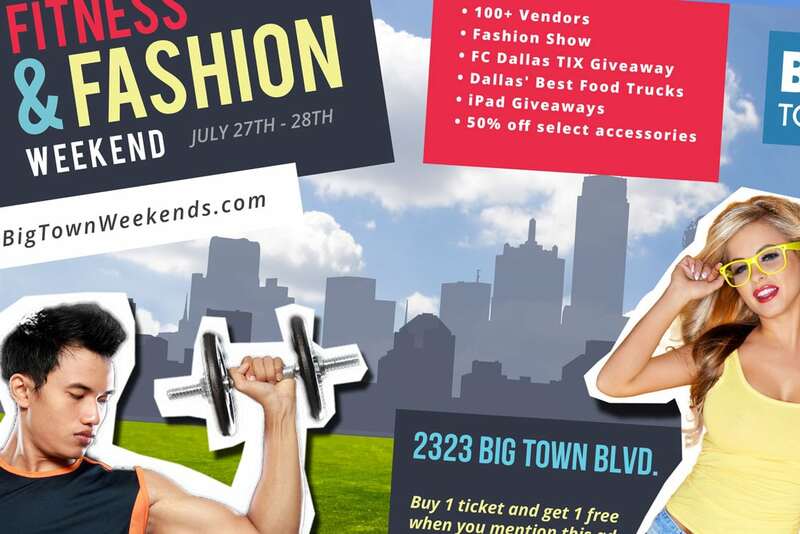 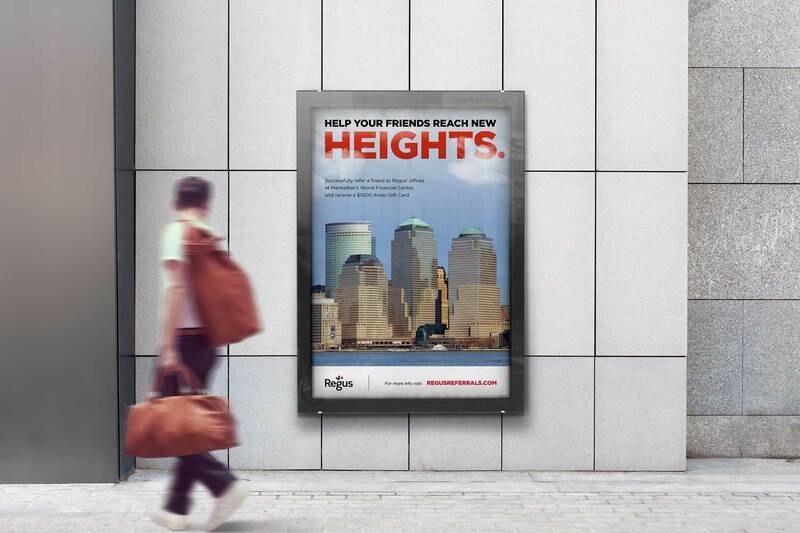 They tasked Page // Agency with creating poster and print collateral to promote a referral campaign intended to attract clients from the international financial industry. 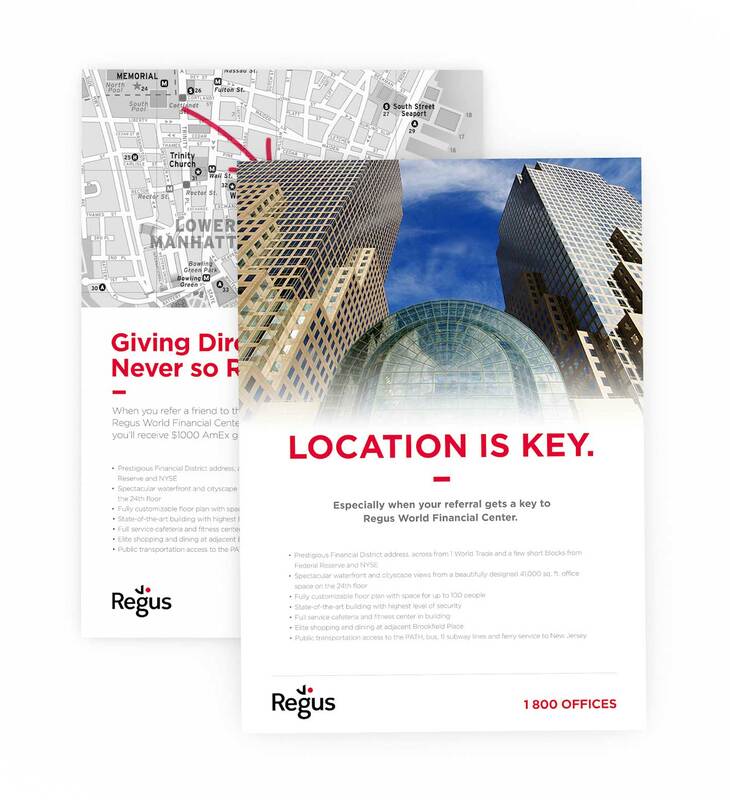 Posters By featuring bold copy and distinguished images, we were able to communicate the authority of the Regus brand, the beauty of the downtown Manhattan atmosphere, and the prestige of leasing space in the World Financial Center. 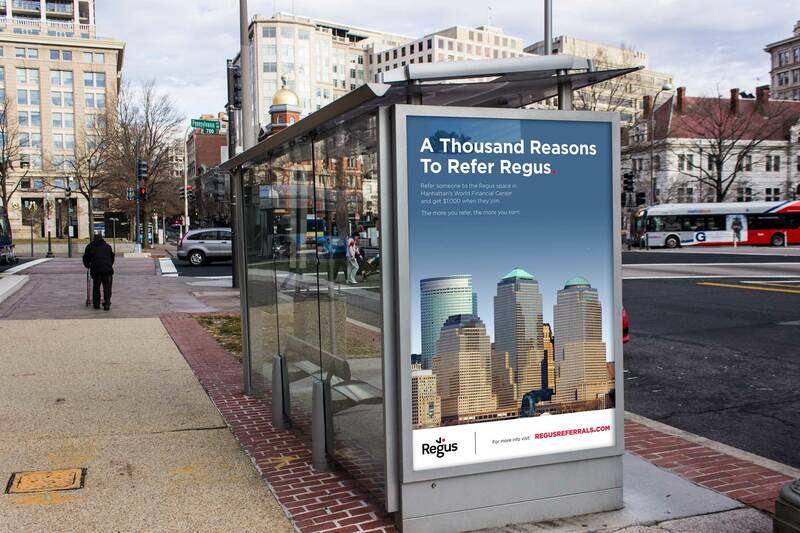 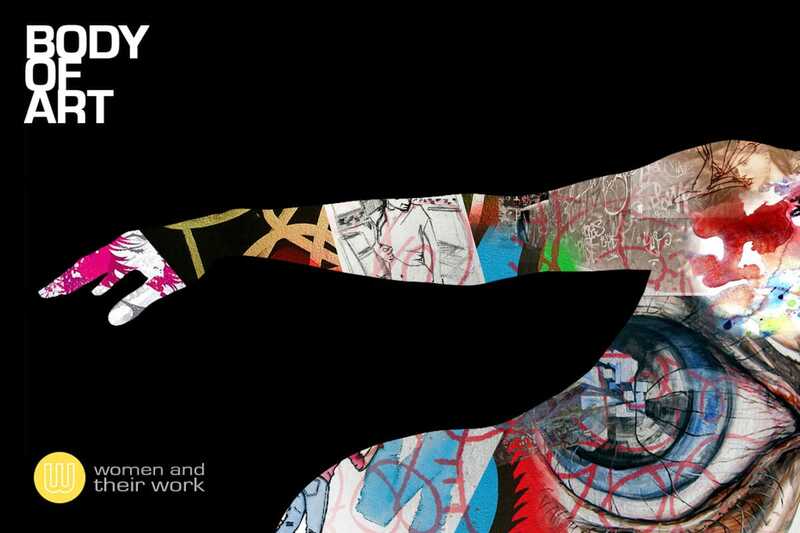 We dare say our outdoor posters effectively projected the larger-than-life opportunity of leasing with Regus. 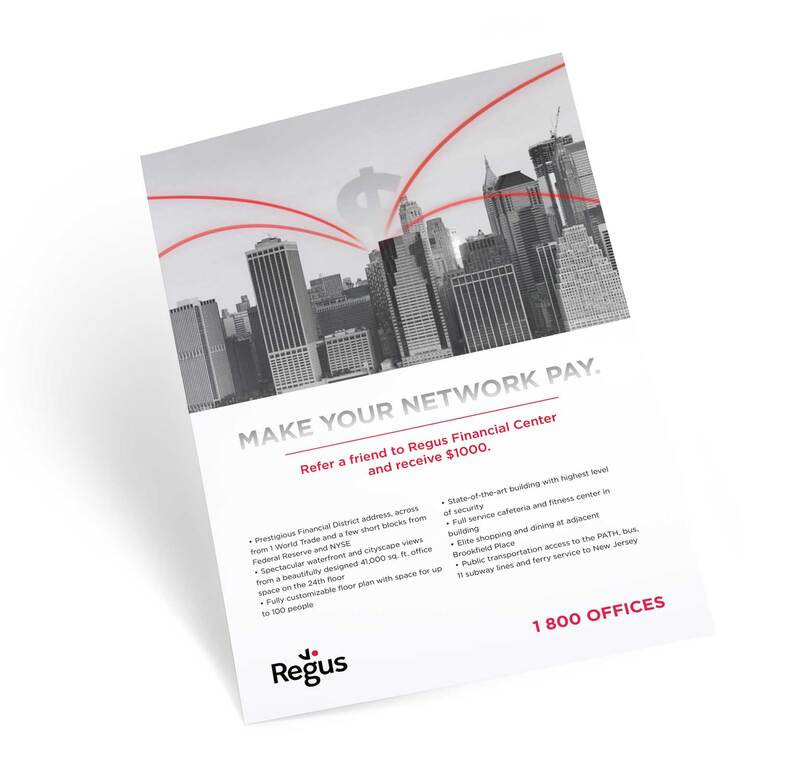 Print Collateral We achieved both specific and broad goals in our print collection for Regus: specifically, we presented readers with the details of the referral program and the benefits of leasing in the World Financial Center. 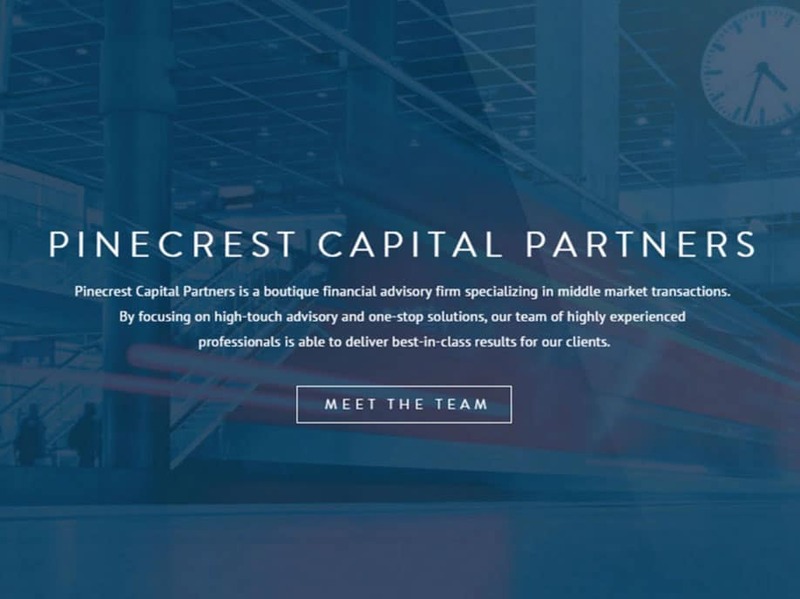 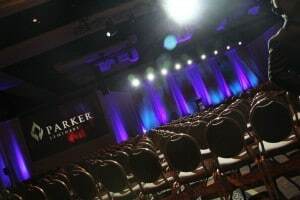 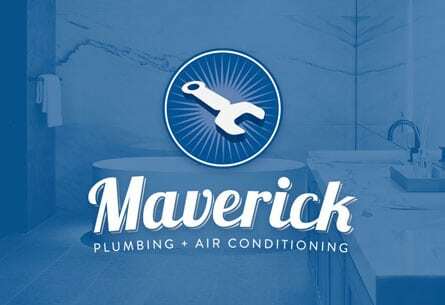 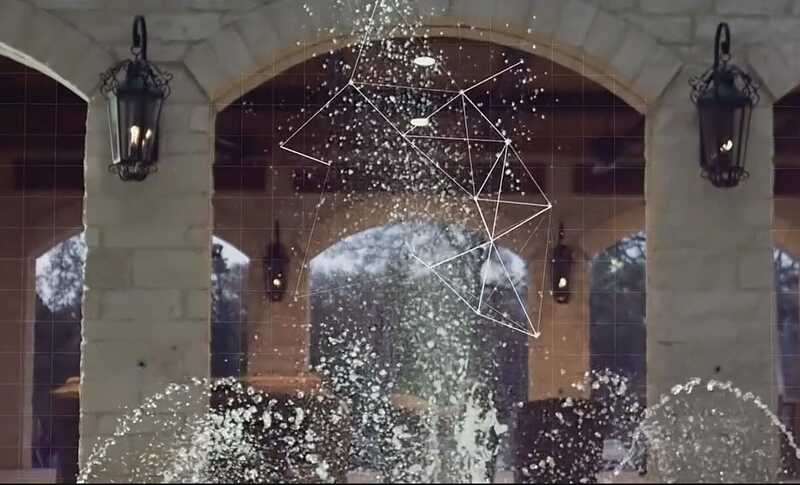 On a broader level, we directed potential clients to the appeal of doing business in a respected, world-class environment.